Dr Moj Goonewardene is a Consultant Cardiologist at Papworth and Bedford Hospital. He sees patients with breathlessness, palpitations, dizziness, collapsing, high blood pressure and chest pain. As well as general Cardiology he has a specialist interest in heart failure, cardiomyopathies, primary prevention of cardiovascular disease, hypertension, hypercholesterolemia, loop recorder implantation, pacemaker implantation, cardiac resynchronisation therapy and implantable cardio defibrillators. He was born and brought up in north London and went to school at Queen Elizabeth’s Boys School Barnet. He qualified from Southampton Medical School in 2001, and completed his general medical training on the south coast in Bournemouth, Southampton and Poole. 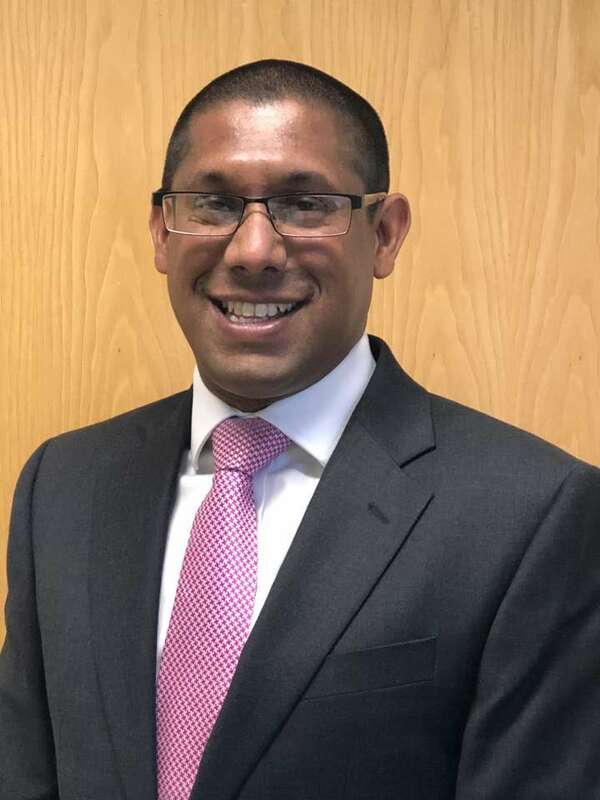 His specialty training in cardiology includes training in several large tertiary referral centres; Southampton University Hospital, Bristol Heart Institute University Hospital Bristol and Papworth Hospital in Cambridge.